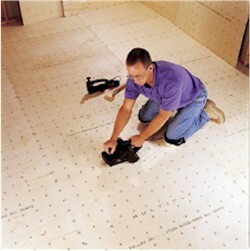 Multiply hardwood plywood underlayment from Weyerhaeuser provides a thick, durable surface for vinyl, ceramic and laminate floors. Its solid-face veneer resists punctures, permitting sanding of seams. Panels come in convenient 4x4 squares for easy handling and dimensional stability.